When a disaster strikes, the professionals turn to IPC Eagle! This 24 gallon unit can recover and pump out an impressive 48 gallons per minute, plus it comes back by a great warranty. A full tool kit is included to recover water from hard surfaces (squeegee tool) and other areas. This commercial flood recovery wet/dry vacuum is really just considered a wet recovery vacuum with pump out capabilities. It is very similar to the IPC Eagle single motor pump out vacuum, but it has 2 vacuum motors, instead of 1. This increases the CFM of air flow from 101 to 202, which is a huge increase in recovery power. 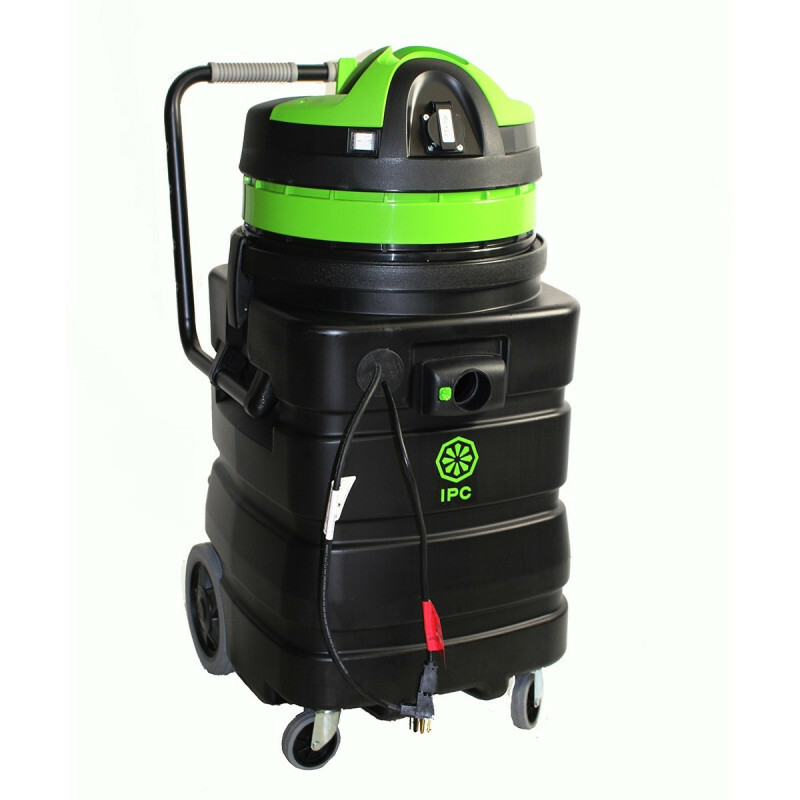 For even more options, take a look at our full line of flood water extractors. 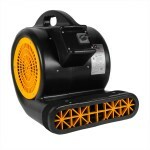 The pump on this wet/dry vacuum can dispense up to 48 gallons per minute through a garden hose. The garden hose is not included with this machine, but any standard hose will attach to the fitting that comes with the machine. Even if you were to out work the pump, the solution tank is only 24 gallons, so the pump would be able to empty that in about 30 seconds. This machine works great with used with the Dri-Eaz low grain refrigerant (LGR) dehumidifier for dehumidifying and several CleanFreak® high speed fan to dry waterlogged areas. The greatest amount of suction and air flow from a flood extractor in the industry! A garden hose can be used to dump the recovered solution from your vacuum. This wet/dry vacuum with pump comes with a 10' hose, 2-piece wand, 19" squeegee tool, and a garden hose adaptor. Polyethylene tank stands up to any amount of abuse you can hand out to it, and it will continue to retain its shape. Comes with a 10 year warranty on the tank, 3 years on the motors & 1 year on parts. Product works well as designed. We use it to remove rain water, leaking pipe water or wet areas to prevent someone from slipping and falling. Discharging the water while vacuming water is a great time saver. This is a review for the Commercial Flood Wet/Dry Vacuum with Pump (24 Gallons) - IPC Eagle.